What are the differences among Just, yet, still, already? 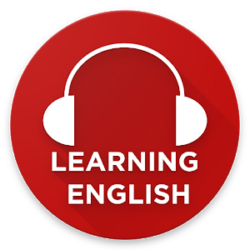 Today, we will talk about an important rule in the English language grammar which is.. It is usually used only with the present perfect tense between “have” and the past participle. – I have just seen Sara coming out of the Museum. – I’ve been waiting for an hour and my friend still hasn’t come. – Are you still working in the School? talking about something which is expected to happen. It is used in the cases of questions and negatives. usually comes at the end of the sentence. – I haven’t finished reading the novel yet. It is used to say that something has happened earlier than it should be. – I have already spent my salary and it’s 3 weeks before pay day. – The bus has already left! What are you going to do? Paul has _____ called. Can you ring him back please? I have _____ got all those letters you sent me. You promised to give me that report yesterday and you _____ haven’t finished it. I haven't finished my homework ______. The train has _____ left! What am I going to do? Mark has ______ turned 30 years old. His birthday was yesterday! Is amazing to learn English. Very helpful exercise. I love it. Your way of teaching is very simple . I can understand very easily and I hoe I will get more lessons from u. This is absolutely superb from you thank you very much you are the best. Previous PostPrevious What is the difference between Many & Much?